Our team offers a range of intercom services. No matter what you need, we can take care of it! Read on for more information about our services. If you need an intercom installed, we’re the people for the job. Our professional technicians will have your new intercom set up and fully operational in no time at all. We work with only the best equipment and parts, meaning that when we install one for you, you know it’s going to work properly and stay working for a long time. We’re quick at what we do, but we don’t cut corners. Our professionals are focused and thorough, ensuring that every installation is properly completed. When you call on us to repair your intercom, you can rest assured that you’ll be left with a fully functional unit. Our technicians can repair or replace any faulty components, ensuring that every job is fully completed to the very best standard. 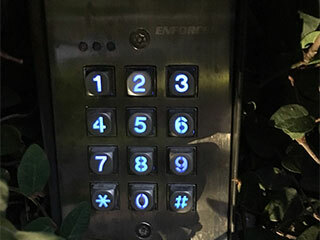 Whatever brand of intercom you have, you can be sure that our professionals know exactly how to fix it. Faulty units can cause a whole host of other problems for you if issues aren’t fixed rapidly, so call us now and let us help you out! Whatever it is that you need us to do, we will do it quickly and thoroughly. All of our technicians are professionals, and experts at what they do. That means that they’re in and out, with no fuss whatsoever. They get the job done properly and quickly, all at a fair price. When you need the services of a company that is professional and affordable, give us a call! Call us now to speak to our team in Malibu, CA today! We’ll sort out an appointment for a date and time that best suit your busy schedule. Let us get to work!